On March 20, 2019, the Securities Exchange Commission (SEC or Commission) adopted amendments to modernize and simplify certain disclosure requirements in Regulation S-K, and related rules and forms, in a manner that reduces the costs and burdens on registrants while continuing to provide all material information to investors. The amendments are also intended to improve the readability and navigability of disclosure documents and discourage repetition and disclosure of immaterial information. Also on March 20, the SEC proposed rule amendments that are intended to modernize the offering related provisions of the Securities Act and the communications safe harbors available to business development companies (BDCs) and closed-end funds (CEFs) in order to harmonize these with the provisions applicable to operating companies. The SEC also proposed accompanying amendments to Form N-2. The SEC was required to undertake rulemaking with respect to BDCs by the Small Business Credit Availability Act, and to undertake rulemaking with respect to CEFs by the Economic Growth, Regulatory Relief and Consumer Protection Act, often referred to as the Crapo Act. Pursuant to the provisions of the Small Business Credit Availability Act, certain amendments became self-effectuating on the Act’s one-year anniversary, which has now passed; however, BDCs may want to consider whether to rely on those provisions, or await SEC Staff guidance regarding the transition period since the amendments address the same matters. With respect to Brexit disclosures specifically, Hinman stated that there “should not be material gaps between how the board is briefed [on Brexit] and how shareholders are informed [about Brexit].” Hinman expressed the same view with respect to sustainability disclosures. 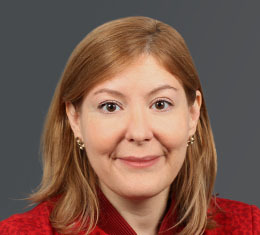 As to sustainability, Hinman noted that sustainability disclosures continue to be of interest to investors and other market participants and that investors continue to engage with companies on sustainability topics as other market participants and stakeholders are espousing increasingly vocal interest in seeing more fulsome and consistent disclosures on sustainability matters. In determining what disclosures to make around sustainability matters, Hinman again expressed his view that management’s engagement with its board on such matters would be relevant. He also referred back to the SEC’s 2010 interpretive release on climate change disclosures, and stated that the “guidance remains a relevant and useful tool for companies when evaluating their disclosure obligations concerning climate change matters.” Hinman said that one relevant disclosure topic not addressed in the 2010 release was the board’s risk management role in climate-related matters. He said that, under Regulation S-K Item 407(h), the SEC expects that companies would provide disclosure “about how a company perceives the role of its board and the relationship between the board and senior management in managing the material risks facing the company. 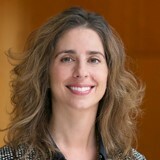 To the extent a matter presents a material risk to a company’s business, the company’s disclosure should discuss the nature of the board’s role in overseeing the management of that risk.” Hinman expressed that this view would apply to climate-related matters, as it would other complex, evolving risks. On March 18, 2019, the PCAOB issued basic guidance to help audit firms implement the new requirements relating to critical audit matters (CAMs), including links to related PCAOB audit standards. Note that the PCAOB’s guidance and standards apply to auditors, but auditor disclosures required under PCAOB rules will apply in their public company audit client’s SEC filing. Public company management and audit committees should already be engaging with the independent auditor on in how the auditor will address the CAM requirements.